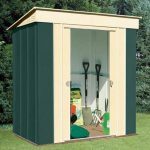 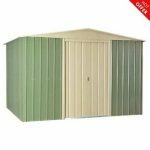 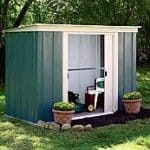 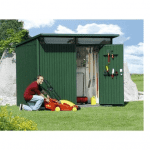 This is a great 8 x 6 Waltons pent metal shed, which benefits primarily from the sloping roof. 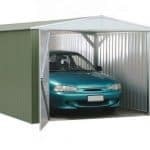 This resists rainwater and stops it gathering, and therefore provides excellent protection for the tools and equipment that you store inside it. 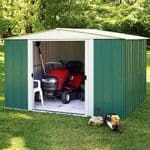 There is a guarantee against rust in the building, so you have complete peace of mind when you store your equipment. 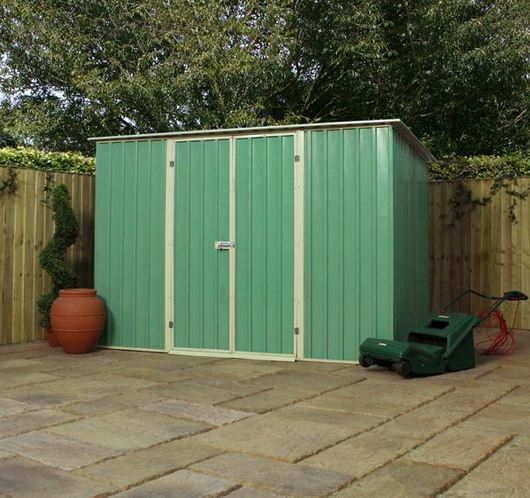 It is windowless as well so you have extra security for your tools.